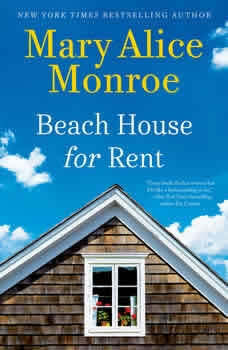 New York Times bestselling author Mary Alice Monroe returns to her beloved Isle of Palms to tell the poignant, charming story of two women, one summer, and one very special beach house.When Cara Rutledge rents out her quaint beach house on Isle of Palms to Heather Wyatt for the entire summer, it’s a win-win by any standard: Cara’s generating income necessary to keep husband Brett’s ecotourism boat business afloat, and anxiety-prone Heather, an young artist who’s been given a commission to paint birds on postage stamps, has a quiet space in which to work and tend to her pet canaries uninterrupted. It isn’t long, however, before both women’s idyllic summers are altered irrevocably: the alluring shorebirds—and the man who rescues them—begin to draw Heather out of the shell she’s cultivated toward a world of adventure, and maybe even love; at the same time, Cara’s life reels with sudden tragedy, and she wishes only to return to the beach house that had once been her port amidst life’s storms. When Heather refuses to budge from her newfound sanctuary, so begins the unlikeliest of rooming situations. While they start out as strangers, as everything around the women falls apart they learn that the only thing they can really rely on is each other. And, like the migrating shorebirds that come to the island for the summer, these two women of different generations must rediscover their unique strengths so by summer’s end they, too, can take flight in ways they never imagined possible.